SBMA Chairman and Administrator Wilma T. Eisma (4th from left) congratulates SBMA 2018 Employee of the Year Nida Linda C. Rojo, along with (L-R) SBMA Senior Deputy Administrator (SDA) for Support Services Ramon Agregado, CSC-Zambales Dir. Jose Gea, SBMA tourism manager Jamelle Camba, SBMA Dir. Ma. Cecilia Bitare, SDA for Regulatory Amethya dela Llana, and SDA for Business and Investment Renato Lee. 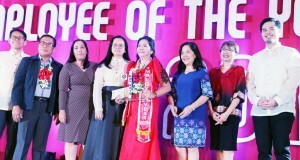 SUBIC BAY FREEPORT — Subic Bay Metropolitan Authority (SBMA) Chairman and Administrator Wilma T. Eisma congratulated on Friday the finalists and winner of the agency’s 2018 Employee of the Year (EOY award, saying it was her pride to lead a “corps of heroes” in the Subic agency. “There’s no better way to celebrate heroism than by getting together and cheering them on, and making sure they are appreciated,” Eisma said during the awarding rites. “They are here right now being feted because it is also a celebration of each and every one of us. We are the corps of heroes. You are the corps of heroes of the SBMA,” she added. The SBMA chief also praised the agency’s employees for giving more than what they can give without expecting anything in return. “That’s what makes me so proud to lead this organization. 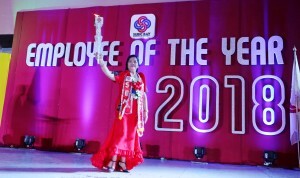 Because we have employees who exemplify what malasakit is, who exemplify integrity, character, passion, and love in every day that they come in for work,” Eisma also said. 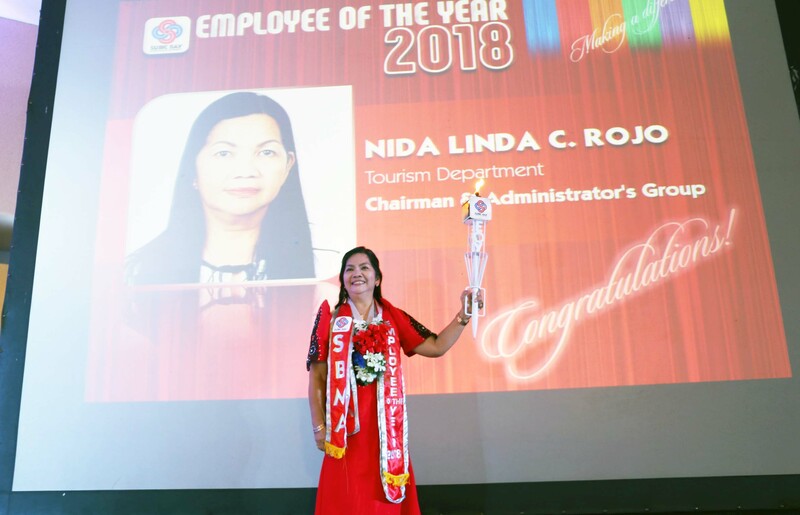 The awarding, which took place at the Subic Bay Exhibition and Convention Center (SBECC) on Jan. 25, named Nida Linda C. Rojo as the agency’s 2018 EOY. Rojo was nominated for excellence in supervising the tourism linkages and VIP services unit of the SBMA Tourism Department, and for delivering results above expectations. Tourism manager Mary Jamelle Camba added that Rojo adapts well in both office and field activities, a trait that was key to representing Subic Bay in travel fairs and expositions locally and internationally. 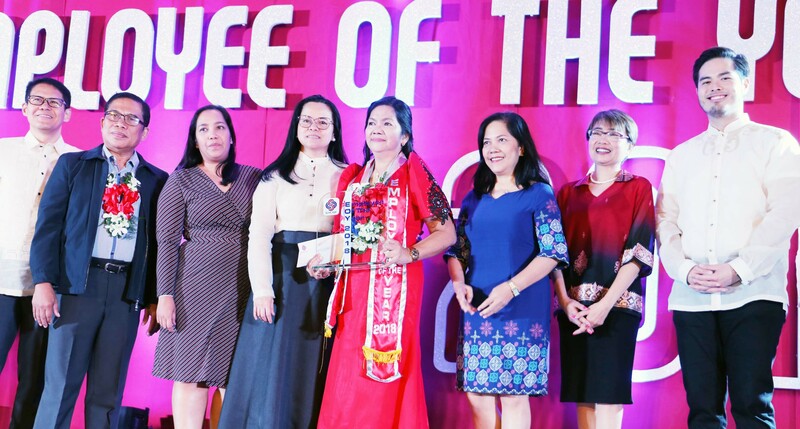 Aside from Rojo, who was also awarded EOY of the Chairman and Administrator’s Group, five other finalists were named EOYs of their respective strategic business units (SBUs). They are: Karren Balajadia of the Land Asset Development Department (LADD), who was named EOY of the Business and Investment Group; Christine Joy Robrico of Trade Facilitation and Compliance Department, EOY of the Operations Group; Alexander Canlas of Law Enforcement Department, EOY of the Public Services Group; Helen Castillones of the Ecology Center, EOY of the Regulatory Group; Ronald Rondez of Labor Department, EOY of the Support Services Group. The winners were cited for their excellent performance beyond the call of duty and for various innovations in the workplace. 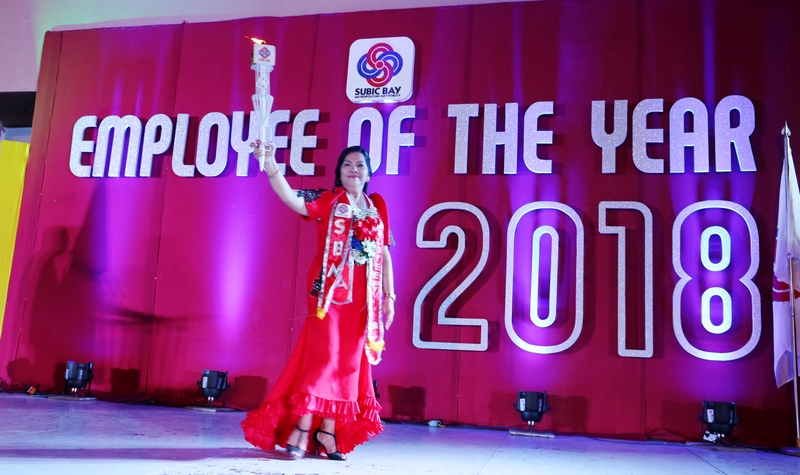 The SBMA Employee of the Year Awards is a project of the SBMA Human Resources Management Department to recognize and reward exemplary services rendered by employees in line with the Program on Awards and Incentives for Service Excellence (PRAISE) of the Civil Service Commission (CSC). The finalists were selected according to the following criteria: industriousness and productivity, 50 percent; quality customer service, 30 percent; and malasakit and honesty, 20 percent. Chairman Eisma said that some of the winners of the SBMA EOY awards had gone on to win Pagasa awards, the Civil Service Commission’s honor awards program for outstanding government workers.